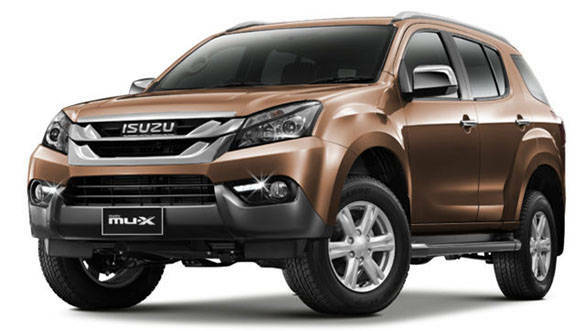 Isuzu has brought in the all-new MU-X at Rs 23.99 lakh (ex-Delhi) in India. The SUV is available in two trims wherein the top-end 4X4 version is priced at Rs 25.99 lakh. This very space of SUVs has got a lot busier with multiple offerings vying to get a chunkier pie of the segment. The most popular SUV in this space is the Toyota Fortuner. Backed by brand reliability and impressive performance, the Fortuner has ruled the roost for quite some time now. However, upsetting its apple cart was the new-gen Ford Endeavour which was launched in India last year. The Endeavour boasts of a pure American DNA and has its Hulk-like dimensions to prove the same. An SUV does not have to be massive and bulky is what Hyundai believes in. The Hyundai Tucson does come loaded with features but not as much as the Endeavour. So we have the Hulk-like Ford Endeavour, Thor-like Toyota Fortuner, Batman-like Hyundai Tucson and the Captain America-like Isuzu MU-X in India. Why are we calling these SUVs such names? 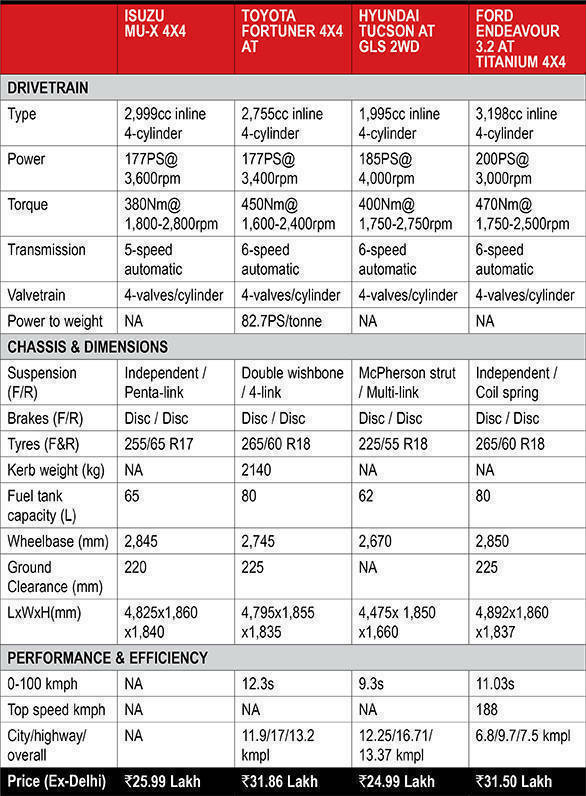 The specification comparison of these SUVs should help you understand. We are calling the Isuzu MU-X Captain America because it is an old-school SUV that has been given a new-age styling along with newer features. The sheer dimensions and presence of the Toyota Fortuner totally justify the Hulk tag. The new-age Ford Endeavour, like the American superhero Thor, has struck back impressively against the competition and occupies a strong position against the Toyota. Lastly, the Hyundai Tucson. It might not look as mighty as the other three but has enough ammo to strike a dent in the positions of the three SUVs. The Ford Endeavour is the longest SUV at 4,892mm closely followed by the Isuzu MU-X at 4,825mm. Shorter by 30mm than the MU-X is the Toyota Fortuner and then comes the Hyundai Tucson at 4,475mm. The Isuzu MU-X and the Ford Endeavour are identical in width at 1,860mm while the Toyota Fortuner is a close 1,855mm and the Hyundai Tucson is 1,850mm. The tallest of the lot is the Isuzu MU-X, followed by the Ford Endeavour and the Toyota Fortuner. And 200mm lower than these is the Hyundai Tucson at 1,660mm. Powering the Isuzu MU-X is a 3.0-litre turbo-diesel engine that makes 177PS/380Nm. The Toyota Fortuner makes a similar power output but generates 450Nm of torque. During our road test review, we experienced that the engine is more rev happy and provides more eager performance than the previous iteration. The engine is quite refined with both roughness and the typical well-controlled diesel clatter, but it does have a rather loud note. 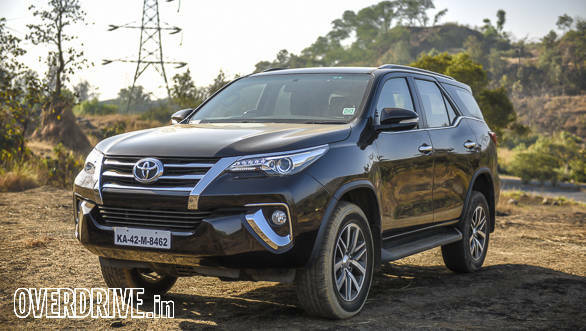 Read our detailed road test review of the Toyota Fortuner 4x4 AT here. If you want more power, go for the Hyundai Tucson which makes 185PS with 400Nm. 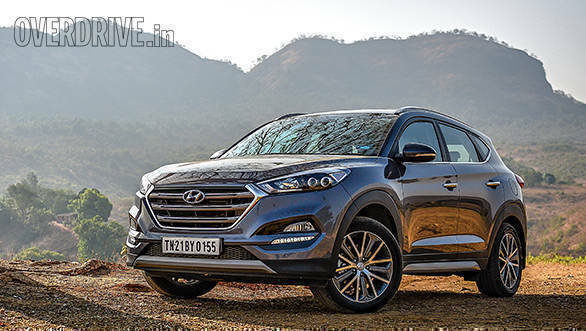 The power delivery of this motor is smooth and linear, and there's barely any turbo lag with the torquey 2.0-litre turbo-diesel's 400Nm coming in from 1,750-2,750rpm, said Rahul in his Hyundai Tucson road test review. However, if you want a powerhouse that produces the highest power output, call for the Thor as its 3.2-litre mighty heart churns 200PS and generates 470Nm, both of which are the highest in the segment. 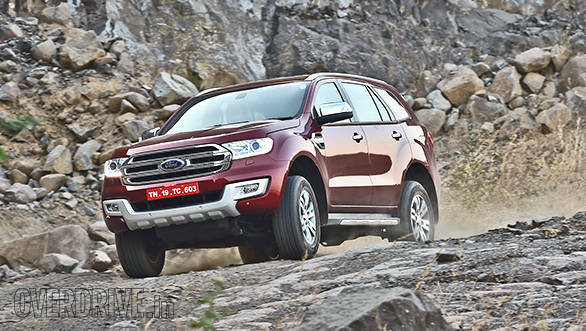 During his Ford Endeavour road test review, Rohit stated that the mid-range power delivery of this motor is better than the smaller 2.2-litre motor. A slight dab on the throttle is enough to scale rocky terrain. In terms of features, the Isuzu MU-X comes equipped with 7-inch touchscreen infotainment system, 10-inch DVD screen mounted on the roof and three-row air conditioning. The Ford Endeavour boasts of features like power adjustable seats, dual-zone climate control, rain-sensing wipers, automatic headlamps and park assist. The Toyota Fortuner comes with a 7-inch infotainment with navigation and electronic tail door. The Hyundai Tucson is offered with drive modes, hill assist, downhill brake control, ABS, front as well as rear parking sensors, and a reverse parking camera along with sensors. Now coming to the most important aspect of the comparison, the prices. The Toyota Fortuner is the most premium option at Rs 31.86 lakh. A close second is the Ford Endeavour at Rs 31.50 lakh. The Isuzu MU-X 4X4 is priced at Rs 5.51 lakh less than the Endeavour at Rs 25.99 lakh. The Hyundai Tucson sits even below at Rs 24.99 lakh, all prices ex-Delhi. Which one takes the mantle of the greatest and the mightiest? Something that only a real-world battle can answer. Until that happens, here is a look at the specification comparison table. Let us know your pick among the four in the comment section below.